Coinbase Wallet (formerly known as Toshi) is one of the most secure crypto wallets to store digital currencies. It was primarily used to store Ethereum, ERC20 tokens and other digital collectibles, however lately Coinbase announced that from February 2019, it will also start supportignBitcoin as well. 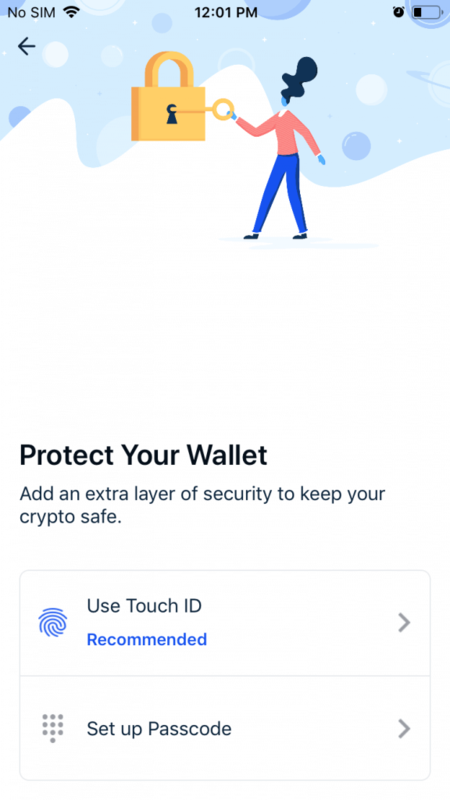 Even though the Coinbase Wallet is an app wallet, it offers full protection for the cryptos using advanced security features similar to the hardware wallets like Ledger Nano S or Trezor. The Wallet can be used to receive tokens bought from other exchanges or directly from ICO token sale events. 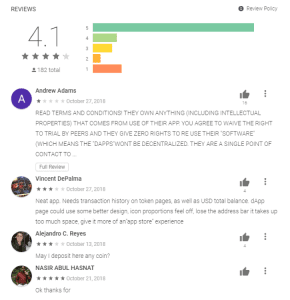 Apart from that, Coinbase wallet allows the users to interact with Ethereum based DApps with its integrated DApp (Decentralized Applications) browser. To use the Coinbase Wallet, it is not mandatory to create an account on the Coinbase Exchange. As the wallet is a standalone software, it can be downloaded and installed by anyone, without any geographical restriction and stored on any IOS or Android device. Because of its simplicity and ease of use, the Coinbase Wallet is a good choice for novice traders who would not like to spend money to buy a Ledger hardware wallet. This wallet will keep your cryptos safe and allow you to send/receive digital currencies anywhere in the world. Apart from that, Coinbase Wallet allows users to sign messages with their private keys. Coinbase Wallet is different from the exchange wallet available on Coinbase.com. The main difference between the two wallets is that the exchange wallet will store private keys on the servers of Coinbase, whereas the Coinbase Wallet will store the keys on the user’s own device. Additionally, this wallet allows users to move the assets from their existing wallet apps like Metamask, MyEthereWallet etc. to it with ease. It displays the current price of the digital assets in your local currency. It supports more than 100 different currencies including EUR, GBP, USD, AUD, and CAD. Also, it allows the users to buy and sell tokens from the leading decentralized exchanges. The Coinbase Wallet app is available for free to download on both Google Play Store and iOS App Store. Currently, the Coinbase Wallet allows you to store Bitcoin, Ethereum, ERC20 tokens and ERC 721 collectibles. The wallet can also be used to receive tokens bought from the ICO token sale event. Support for BCH and LTC will be added very soon. The Coinbase Wallet can be installed on iPhone, iPad and iPod Touch, provided that the device runs iOS 11.0 or later versions. To install on Android phones and tablets, it requires at least the Android 6.0 version. It won’t take much of your time to set up the Coinbase Wallet. Follow the steps below to get started. 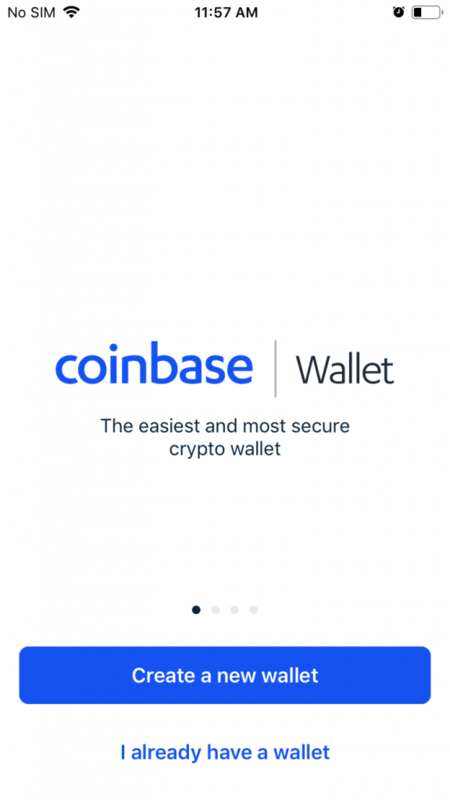 Depending on your phone, you can download and install the Android/iOS app of the Coinbase Wallet, if your device operates on Android, click on this link. As for iOS devices, follow this link. You can follow the procedure below to create a wallet account on iOS or Android platforms. Coinbase Wallet doesn’t ask for your email address or phone number to create the account. Instead, you have to provide only a unique username, which is not already used by someone else. Go through the terms of service and tap the ‘Accept’ button to proceed further. 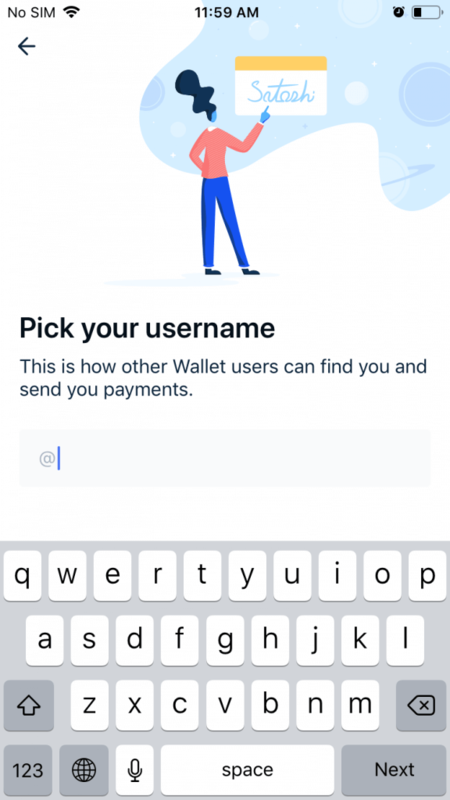 Then, enter the username for your wallet account so that other Coinbase Wallet users can transfer funds easily by using the name. Here, you will be shown two options to protect your account: Touch ID or Passcode. If your phone has a built-in fingerprint sensor, then you can protect your account with Touch ID. Otherwise, create a unique 6-digit passcode to secure your account. (Don’t use your birth/anniversary dates or sequence of numbers. Try to keep the passcode as strong as possible, while still memorable). Touch ID offers better protection for your account as it is hard to mimic your fingerprints. Next, your screen will show the title ‘Back up your account’. 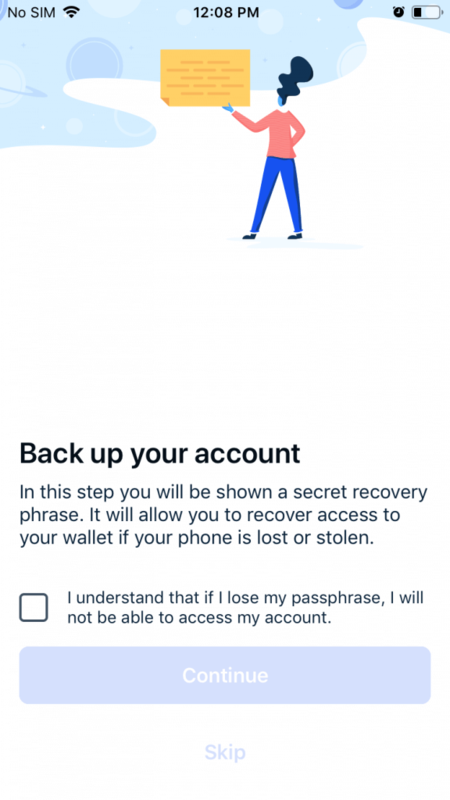 In this step, you will be shown a secret recovery passphrase which will help you to recover your wallet in case your phone is stolen or lost. (You can tap the ‘Skip’ button if you want to do this later). Tap the checkbox and continue button if you would like to note down the recovery phrase. We do not recommend that you skip this step. Finally, you have to drag and drop the recovery words in the correct order from the list. Congratulations! You have successfully created an account on the Coinbase Wallet and finished the initial configuration. 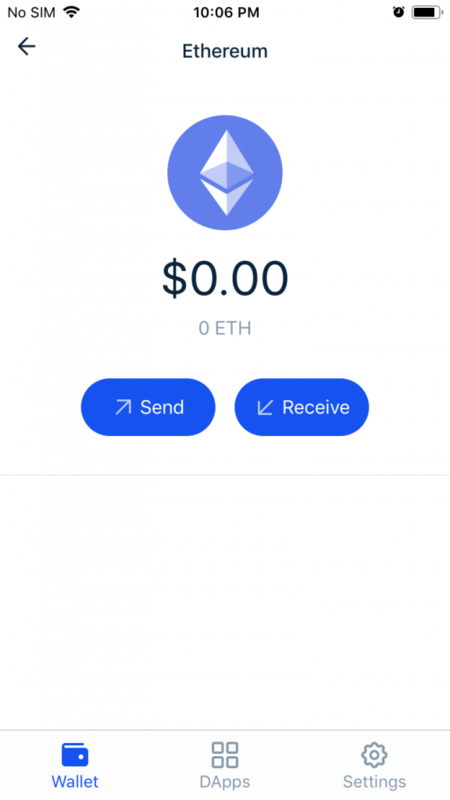 You can send Ethereum and other ERC20 tokens from Coinbase Wallet to other exchange wallets, hardware wallets or other users. Open the Coinbase Wallet app on your phone. Login to your account and authenticate yourself. Under the tab Tokens, select the name of the token or digital currency (eg. ETH) you would like to send. Next, enter the amount of the ERC20 token or digital currency you would like to send. Then, enter the receiving address of the wallet manually or scan the QR code and click ‘Continue’ button. Congratulations! You have successfully sent the digital currency from Coinbase Wallet. 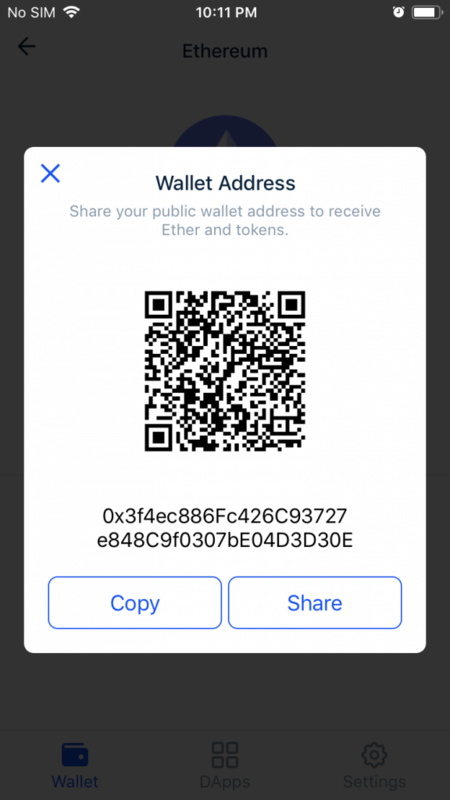 To receive Ethereum, BTC, ERC20 tokens or other collectibles, you must provide your Coinbase Wallet address to the sender. Follow Steps 1 to 3 mentioned in the above section. Now, your screen will display your personal public address and its corresponding QR code. Either you can copy the address or provide the QR code to the sender. That’s it! You will receive the digital currency or ERC20 tokens from the sender once the transaction gets completed. 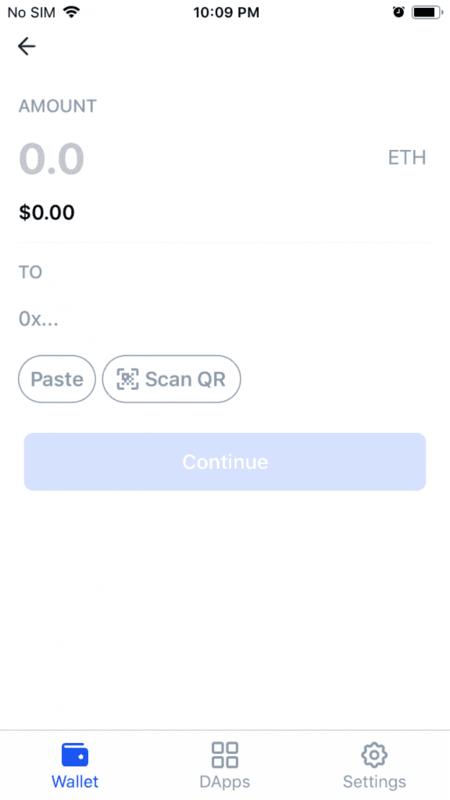 The Wallet app lists 10 different addresses to receive the tokens. By default, the Wallet 1 address is selected. If needed, users can select any other address in the list as the default address by navigating to Settings > Advanced > Active wallet. Since the Coinbase Wallet is a standalone product, the private keys will be stored only on the user’s device using Secure Element Technology and not on the server of Coinbase.com. If your wallet account is protected with a Touch ID (biometric authentication), then it will be almost impossible for the hackers to steal the coins as it is almost impossible to get an identical fingerprint-like yours. 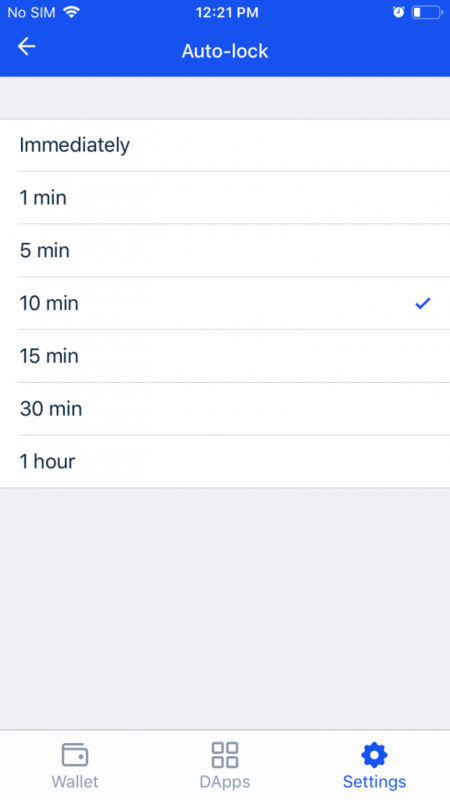 Also, it is possible to configure an auto-lock timeout from 1 minute to 1 hour. If the auto lock is enabled, the app will get locked automatically after the specific timeout and it can be reopened only after authentication using Touch ID. Coinbase Wallet is not an HD (Hierarchical Deterministic) wallet and the recovery phrases follow the BIP39 standard. If your mobile phone gets lost, broken or stolen, there’s no need to panic, as you can easily recover your account if you have the 12-word recovery passphrase. This is shown during in the initial setup of your wallet account. If you forget or wouldn’t have taken note of the recovery passphrase, it wouldn’t be possible to recover your Coinbase Wallet account. The best option would be to contact the Coinbase Wallet team by sending a detailed email to wallet.support@coinbase.com. The majority of crypto traders are able to quickly add the new ERC20 tokens on their Coinbase Wallet. 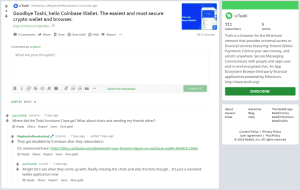 Even though serious/professional investors are more interested in hardware wallets, still the Coinbase Wallet is a good choice among beginner traders. A lot of Redditors find this wallet extremely good to store the digital collectibles like the crypto kitty. As the wallet has an integrated DApp browser, investors can easily find and participate in the latest ICO token sale events to buy the ERC20 tokens. Trezor Wallet supports more than 700+ digital currencies and tokens whereas the Coinbase Wallet supports only ERC20 tokens, BTC, Ethereum and Collectibles. Coinbase Wallet stores the recovery passphrase on your device whereas Trezor never stores the BIP39 passphrases. Trezor is considered more secure than Coinbase Wallet due to its advanced security features. Unlike the Coinbase Wallet, Trezor cannot be used to store digital collectibles. KeepKey is a hardware wallet whereas the Coinbase Wallet is a standalone software. While KeepKey allows the users to store BTC, BCH, LTC, DASH, DOGE, BTG, ETH, ERC20 tokens etc, Coinbase wallet can only hold Bitcoin, Ethereum and ERC20 tokens. Both the wallets provide recovery option in case the device is lost, broken or stolen. KeepKey is compatible with PC, Mac, Android and Linux whereas Coinbase Wallet supports only Android and iOS devices. As KeepKey is a cold storage wallet, it is considered more secure than Coinbase Wallet.